We need to create a maze to act as a barrier for our main character. We will create another sprite that acts as the maze. 2. 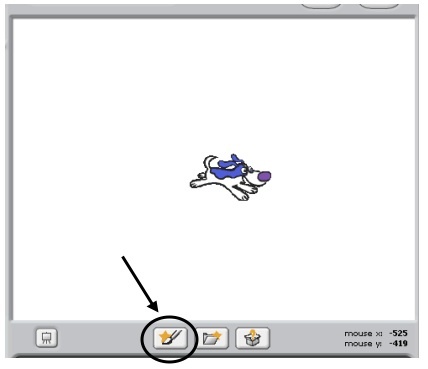 Use the "zoom out tool" on the drawing program to zoom all the way out. 3. 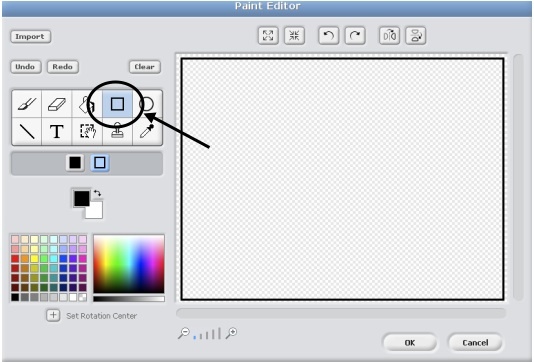 Click the "Rectangle Outline Tool" and draw a border around the world. 4. Use the "Rectangle Filled Tool" to draw some barriers to create a maze. 5. 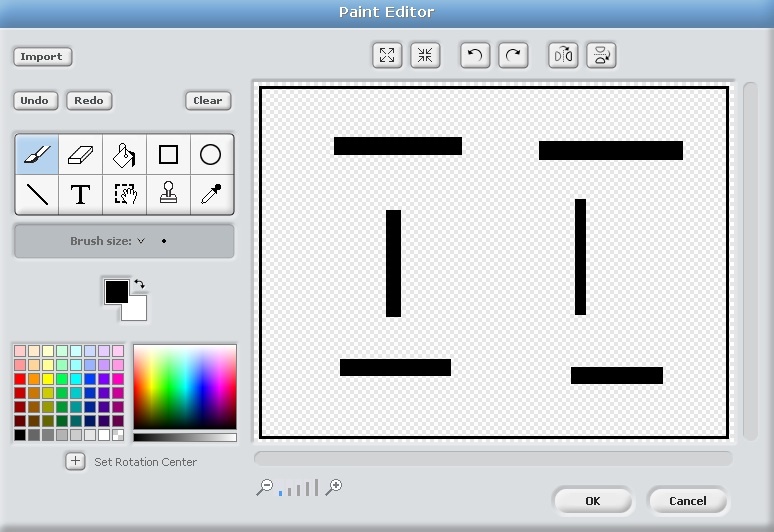 Click "OK" to finish your drawing. 6. Change the name of this new sprite to "Maze"
1. Go back to the "Eater" sprite's scripts. 2. Drag a "When Green Flag Clicked" and a "Forever if" into the scripts field. 3. 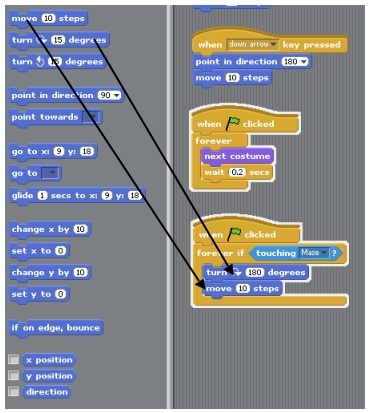 Drag a "touching" hexagon from the sensing menu. Select "Maze" from drop down list. 4. Add a "turn 15 degrees" and change value to "180." Add a "Move 10 steps" block. 5. Test your program. 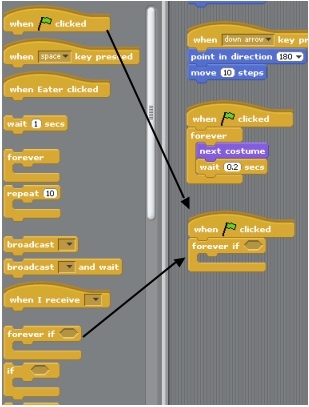 Click the green flag and use the arrow keys to direct your sprite into the wall. It should bounce and turn around. 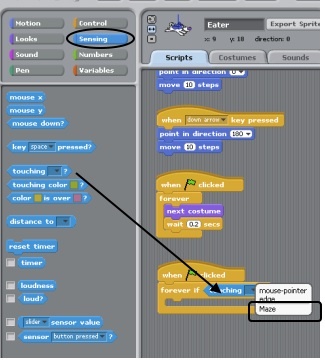 Scratch Exercise 3: Something to Eat, Conditionals, Variables, Hiding, and Sound.